What does it really take to make a business successful? Passion? Drive? Shared ambition and vision? Trust? A sense of humour? Now, what does it take to make a relationship, whether mother and daughter, brother and sister or husband and wife, successful? The answers that come to mind probably aren’t that different. In family business why would you not practice what you preach? If you live by the family values of honesty, respect and support at home, why leave them at the door on your way to work? Transferring the attitudes and approaches which make a family unit work has proven invaluable for a huge number of Lincolnshire businesses, firms such as Human Alchemy. Run by husband and wife team Paul and Dawn Barron, Human Alchemy was founded by Dawn in 2000 with Paul joining in 2010. They specialise in high-performance leadership teamworking in order to boost confidence, productivity and ultimately business performance. For the co-alchemists, the tools they use during training to accomplish this have naturally come in to play at home. “You can’t go out there and promote the benefits of focussed teamwork if you don’t practice what you preach,” says Paul. “Transformation through people is our focus, so what we do on a daily basis is all about relationship building. We deal in getting teams to work together effectively, so they perform at a high level and work towards the same vision for the future. What we train people in is based a lot around how they think, speak, act and their use of language – we pick up on things we can see that affect relationships. We’re both highly trained in what we do and we bring that to our own relationship. “A lot of it is common sense, but it’s about being very aware of the impact you have when you speak to people, how it comes across and what effect that has if you don’t deliver it properly,” he adds. With Paul’s former positions including president of Alstom UK, director of UK Trade and Investment, managing director of Ruston Gas Turbines and most recently chief executive officer of NATS (National Air Traffic Service), a post which he retired from in 2010, his credentials and expert knowledge is priceless. And the same can be said for Dawn. Prior to launching the business in 2000, Dawn worked with businesses of all sizes, such as Sky TV, Churchill Insurance and UK Central Government. She was the Director of HR Policy for GEC plc – the UK’s largest electronics company at the time with 140,000 employees worldwide. 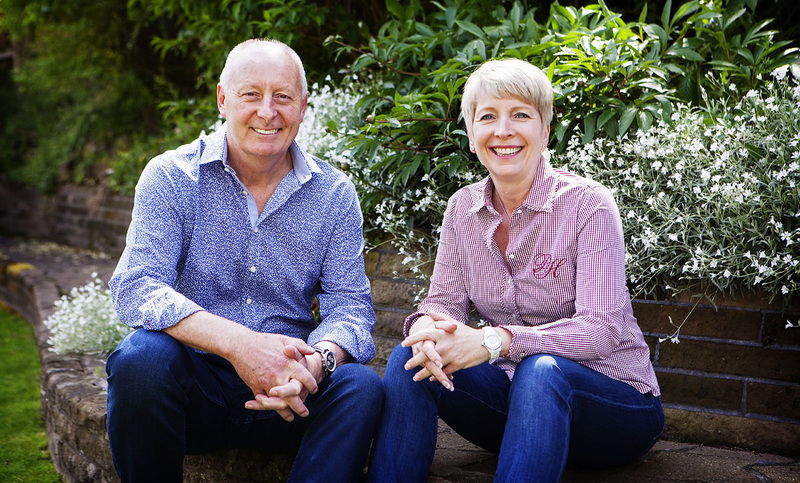 The combination of Dawn and Paul’s previous experience is not only what makes their advice so valuable to regional businesses, but what made their decision to work together such a surprisingly easy one. “From my point of view Paul joining the company was very natural,” says Dawn. “I don’t think we even sat down and talked about it. We knew that we would work together well and that work would continue to be a big part of our lives. Still working individually on some projects nationally and internationally, Dawn and Paul allow each other the time and space to stretch their legs when it comes to their own areas of expertise and unique passions. It also allows them to come together to work locally, a facet of the business where their enthusiasm soars. “When it comes to local businesses we like to work together, it’s one of the things we feel really passionate about,” explains Dawn. Dawn adds: “For people running a family business their aspirations need to be clear. For example, in 20 years’ time, do they all still want to be a part of it or do they want to grow it and sell it? If they don’t agree it comes out in the wash. The best example of this is Dawn and Paul themselves, as Paul explains: “We’re both remarried so we have four children together and our families had to merge and come together, which they did fantastically. All of them come to us for different things; they know our different skill sets and what each of us will be able to help them with. “Because of course we are individuals and in the early days that had to be worked out, not just as two people but also as business partners. Both of us have successfully created and delivered business transformation but we have different strengths and ways of working. I have always been driven to deliver the bottom line and could only survive if I achieved it consistently,” he says. Dawn agrees: “It’s all about embracing the differences that you have and learning how to use them effectively. But the more members you have in a family business, the harder that becomes. It’s easier for us because we train people in how to overcome these things. We teach it so we have to apply it.